Some people get their PC kicks from gaming, some from watching high-resolution multimedia, other from balancing the books (go figure). Us? Give us an SSD that measures performance in gigabytes per second. 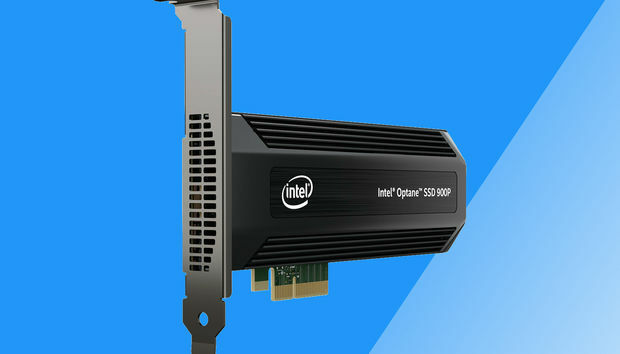 And if you want to make our Saturday night, give us a drive like Intel’s new blazingly fast SSD 900P that delivers over 500,000 IOPs (small input/output operations), rather than the normal 100,000 or so. To heck with dinner and a movie! When a company markets pricey entities such as the SSD 900P ($389 for 480GB/$599 for 960GB) to the enthusiast market, looks can help close the deal. 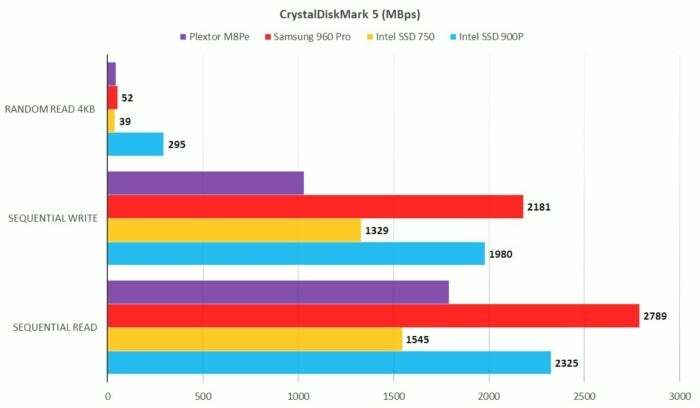 Not that Intel’s silver-hued 750 and P3608 were ugly ducklings, but the all-black, silver-detailed SSD 900P looks aggressive and virtual-combat ready. The heatsink/case isn’t as bling-y (yes, it’s a word... to us), as say the Plextor M8Pe or the Apacer Commando, but it looks meaner. As mean as its performance. The SSD 900P certainly isn’t going to embarrass you when residing in your gaming rig. By our lights, it’s one of the best looking PCIe SSDs ever. 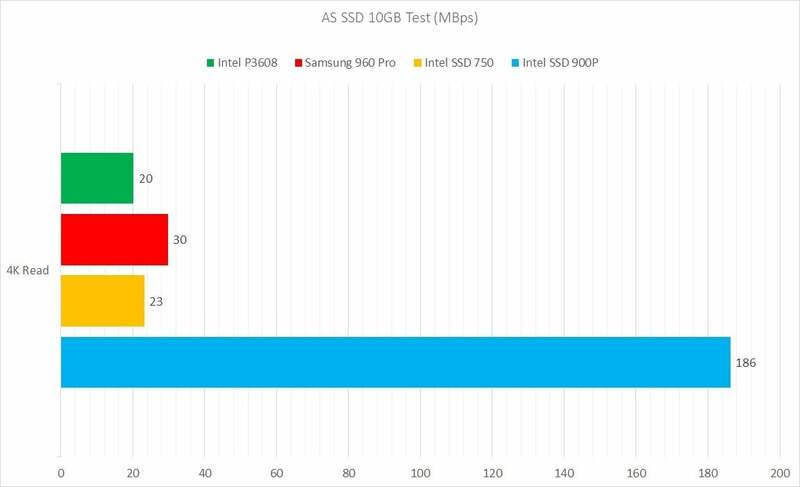 The SSD 900P plowed through our tests almost as if they weren’t there. Having allotted an hour for the process, we were left wondering what to do with the remaining 45 minutes. CrystalDiskMark had basically the same thing to say about the Intel SSD 900P that AS SSD did: very good sequential throughput and supremely fast small file reads. 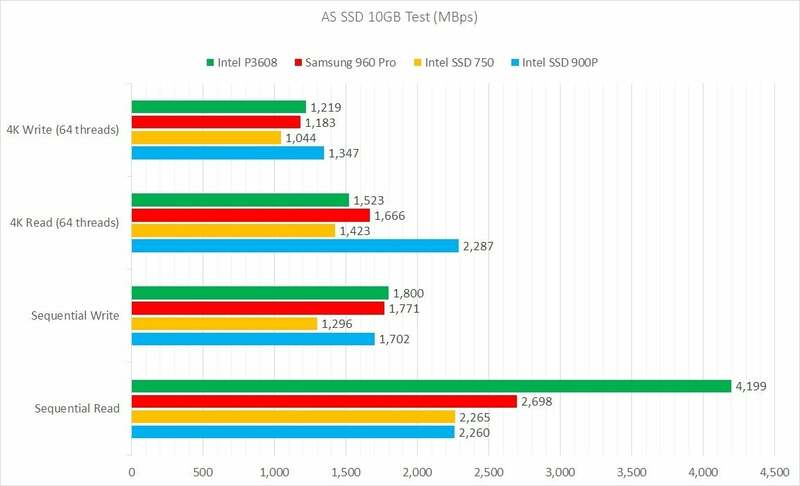 Though the Samsung 960 Pro outpaces the Intel SSD 900 with sequential writes, it’s simply not in the same league with un-queued small file reads. 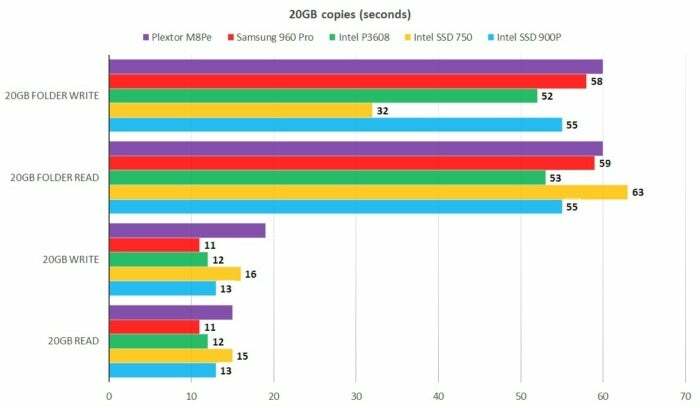 In our real-world copy tests, which we use to verify the results of the synthetic benchmarks and spot inconsistencies, it took the SSD 900P 13 seconds to read a 20GB file, and the same amount of time to write it. Writing a 20GB set of smaller files and folders took 55 seconds, and 58 seconds to read them back. That’s faster than most (though not quite all) of the competition. But performance is only part of the story. The Intel SSD 900P has another trick up its sleeve, and for those worried about their SSD wearing out—it’s a doozy. While 3D XPoint memory hasn’t delivered the promised DRAM-like speed yet, Intel is pretty confident in its endurance. The 480GB SSD 900P we tested is rated for an absolutely ludicrous 8,750TBW (TeraBytes Written), or 8.75 petabytes. That makes the the 200TBW or so similar capacity NAND-based SSDs are rated for seem paltry. 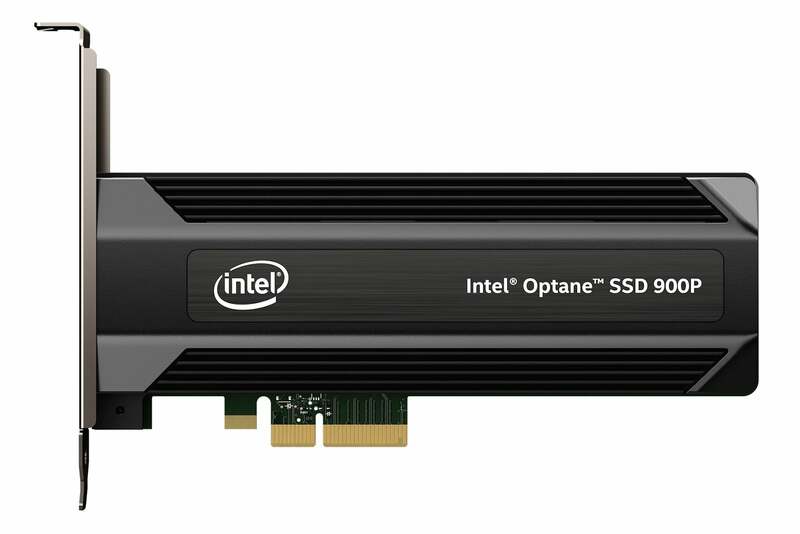 If you want the best storage for your consumer PC—the Intel SSD 900P is it. When you factor in longevity, nothing else even comes close. But the SSD 900P is expensive. 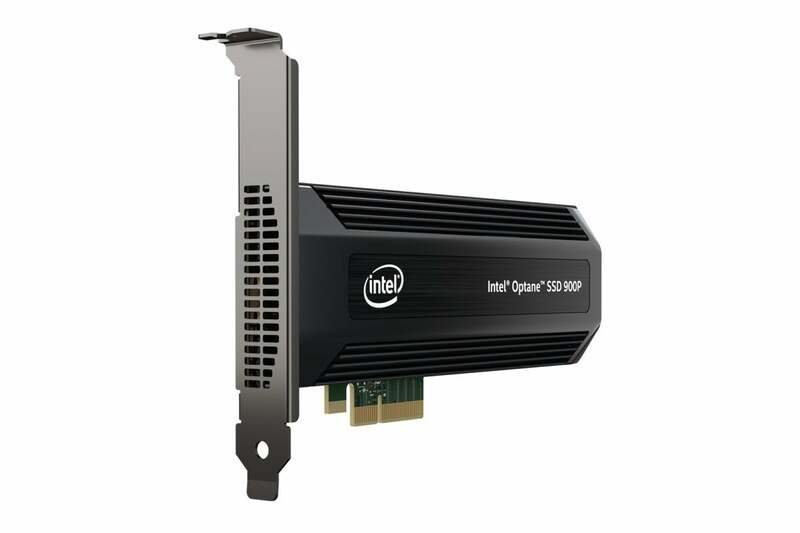 In terms of bang-for-the-buck you can get roughly the same subjective experience for about half the dough with a garden-variety PCIe/NVMe SSD. Most consumers should seek just that.